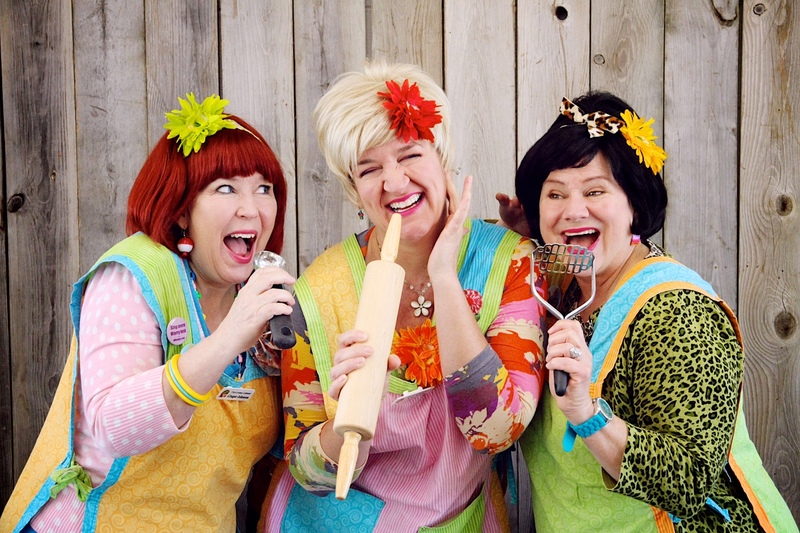 The Looney Lutherans are a trio of wacky gals who use music, comedy, and help from the audience to share their tips for aging humorously in YOUNG(ish) AT HEART. This interactive comedy event includes the game show WHAT’S IN YOUR LUNCHBOX? (hosted by your favorite luncheon meat); musical advice for dealing with those aches and pains; and creative tips for keeping fit, because Jello isn’t the only thing that jiggles. Material is comedic and family friendly, and you don’t have to be Lutheran to love it! Getting older may be a “pain in the neck”, but laughter is good medicine. Celebrate being YOUNG(ish) AT HEART with the Looney Lutherans. Served with: Roasted red potatoes and Green bean almandine. Additionally: Variety of dinner rolls with Chef’s butter. Dessert options (will vary): Homemade French silk pie, Cheesecake Fluff, Swiss cake roll, Chocolate mousse, Apple crumble.